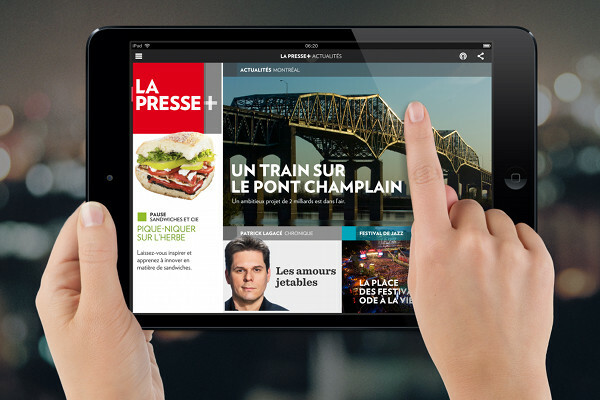 Earlier this month, Montreal's La Presse announced it will eliminate its weekday printed edition starting in January. The decision puts us right on track for the prediction of the Newspaper Extinction Timeline, which predicts that “newspapers in their current [printed] form will become insignificant” in Canada by 2020. Also this week, the Toronto Star unveiled their new tablet version, based on the success of La Presse in Montreal. 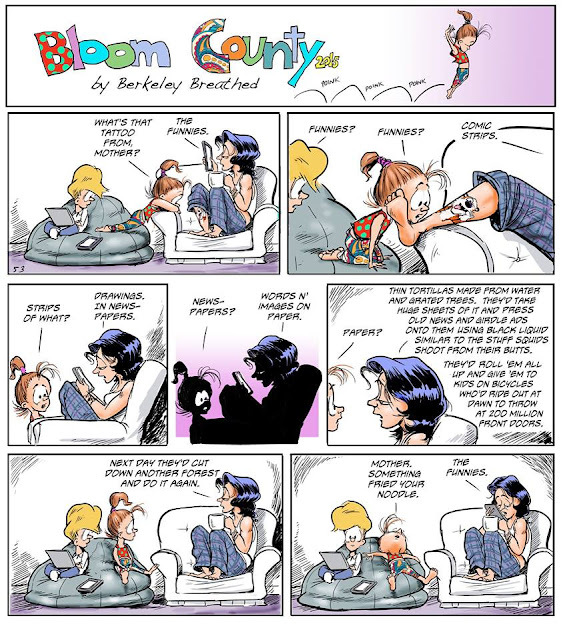 The Star plans to continue the print version. 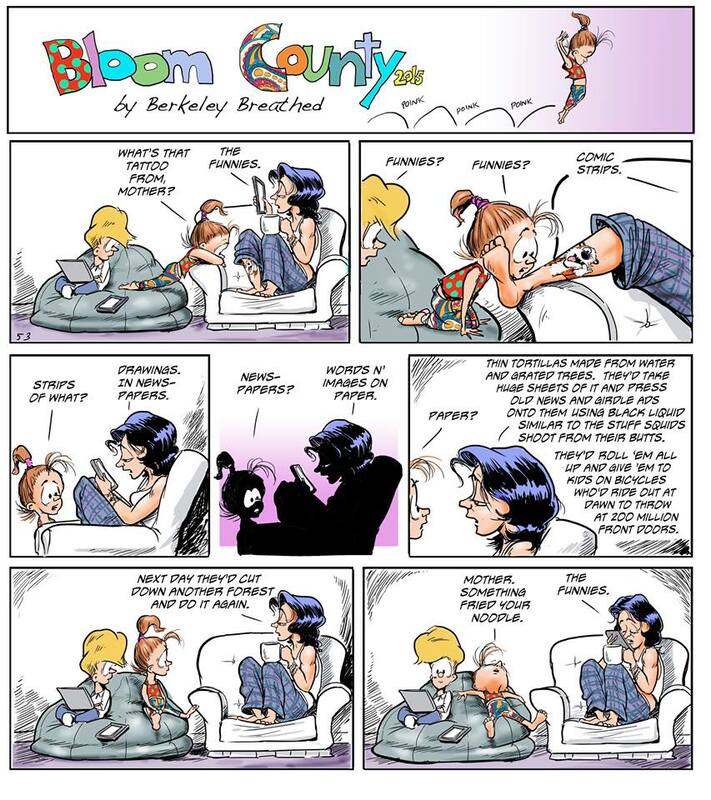 Anyway, all of these changes makes me look ahead to the future, when those of us who grew up reading newspapers will have to explain them to our grandchildren, as in the Bloom Country comic below.